A builder who oversaw the transformation of America’s skylines, from the World Trade Center in New York City, the Century City complex in Los Angeles and Walt Disney’s EPCOT center in Florida, died Saturday morning. 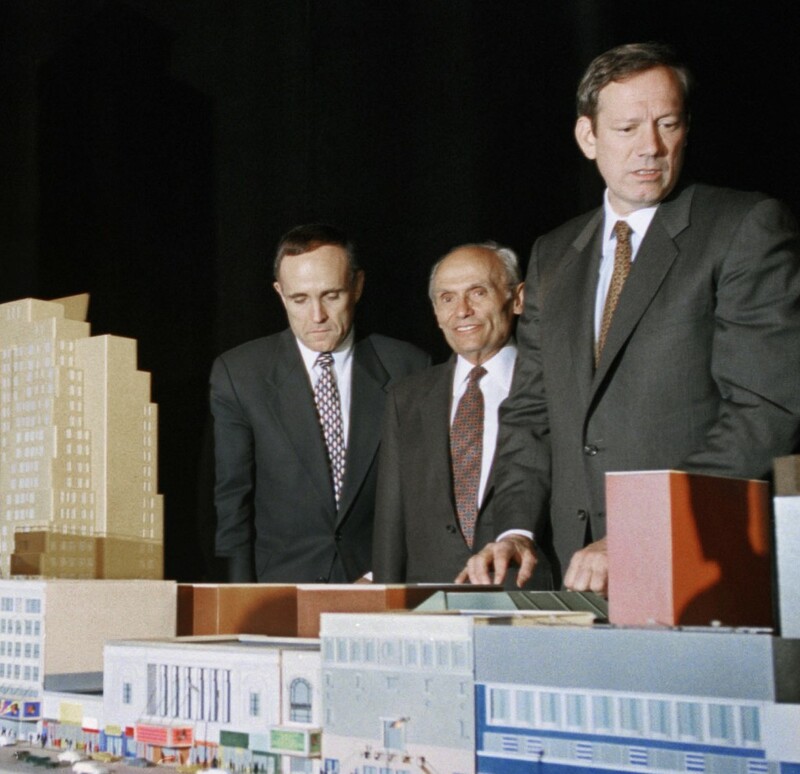 John Tishman was 90. Tishman joined his family’s storied construction business in 1948 after serving in the U.S. Navy and working as a schoolteacher. He later oversaw the construction of some of the nation’s largest buildings, including the World Trade Center’s Twin Towers and the 1,100-foot John Hancock Center skyscraper in Chicago. These were the world’s first buildings to top 100 floors. Another building he oversaw was Madison Square Garden. Tishman was the first to recognize the use of reinforced concrete to build higher and sturdier buildings, rather than the steel used up till then. He also innovated the building process by subcontracting it out to dozens of small bids instead of giving the entire project over to one company. When the Twin Towers collapsed — literally in front of his eyes, according to The New York Times — Tishman watched in silence and just went home, too traumatized for words. Tishman is survived by a son, a daughter and three grandsons.